Category 6 cable, commonly referred to as Cat 6 cable, is a standardized cable for Gigabit Ethernet and other network physical layers that is backward compatible with the Category 5e and Category 3 cable standards. Compared with Cat 3 and Cat 5e, Cat 6 features more stringent specifications for crosstalk and system noise. The cable standard provides performance of up to 250 MHz and is suitable for 10BASE-T, 100BASE-TX (Fast Ethernet), 1000BASE-T/1000BASE-TX (Gigabit Ethernet), it also supports 10GBASE-T (10-Gigabit Ethernet) with some limitations. Category 6A has higher bandwidth at 500 MHz, it supports 10GBASE-T (10-Gigabit Ethernet). 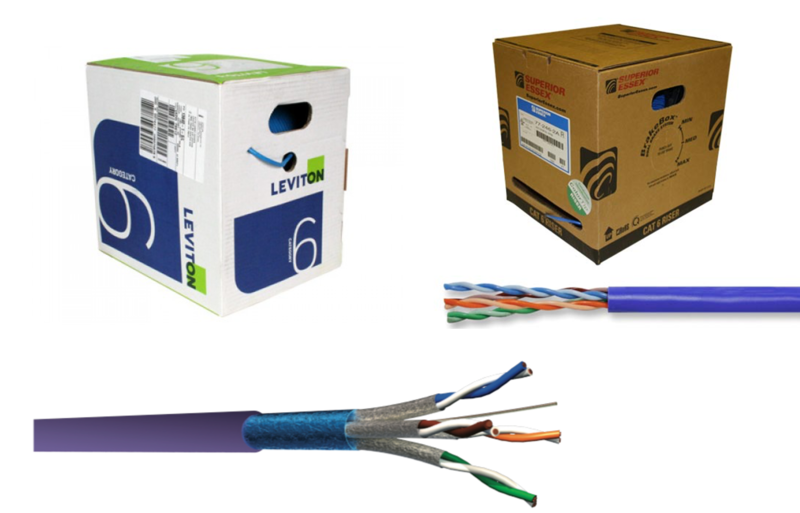 All these cables are available in both unshielded and shielded variants such as U/UTP, U/FTP, F/UTP, F/FTP and S/FTP.